GREAT BEND, Kan. (AP) — A Florida man has pleaded guilty in connection to the deaths of a couple who were killed at a Kansas fair after one suspect posed as a carnival mafia boss and ordered the killings. Michael Fowler Jr., of Sarasota, Florida, pleaded guilty Monday to first-degree murder and theft. 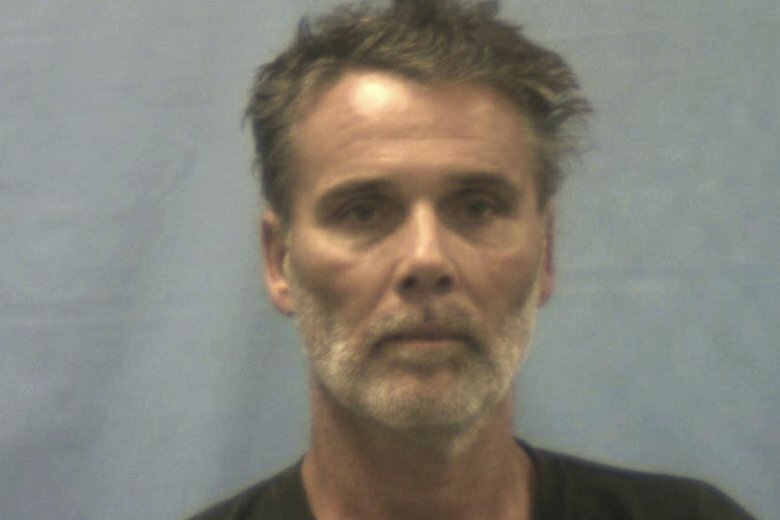 He is among five people charged in the deaths of Alfred “Sonny” Carpenter and Pauline Carpenter of Wichita, whose bodies were found buried in shallow graves in Arkansas in July. As part of his plea deal, a capital murder charge was dropped against Fowler, The Great Bend Tribune reported. Prosecutors said the Carpenters were killed at the Barton County Fair, where they were vendors, and their bodies were taken to Arkansas and buried in a national forest near Van Buren. Fowler told investigators he believed the killings were an initiation into the carnival mafia. He admitted shooting the Carpenters, who were selling crafts, jewelry and other handmade items at the fair in Great Bend, Kansas, according to a probable cause affidavit released in July. He told Van Buren police that two other people were with him during the killings: Rusty Frasier, of Aransas Pass, Texas, and Kimberly Younger, of MacIntosh, Florida, also known as Myrna Khan. Frasier and Khan were also charged with capital murder in the deaths. After the couple’s bodies were discovered, Younger posed as a carnival mafia boss named Frank Zaitchik and ordered the other suspects to kill the couple, according to investigators. Fowler said he shot the couple and said Frasier stabbed Alfred Carpenter. Authorities believe the carnival workers used the couple’s recreational vehicle to drive the bodies 320 miles (515 kilometers) to Van Buren, Arkansas. Their bodies were found next to a creek outside the community of Natural Dam in the Ozark National Forest. Deputy Kansas Attorney General Vic Braden, who is prosecuting the case, said the Carpenters were killed because of “their vulnerability” and the suspects’ desire to kill and to obtain the couple’s possessions. Two other people — 38-year-old Christine Tenney, of Santa Fe, Texas, and 31-year-old Thomas Drake, of Van Buren, Arkansas — are charged with obstructing apprehension. Fowler’s sentencing will be delayed pending the outcomes of the remaining cases.